Anzeige. | This article contains affiliate links. 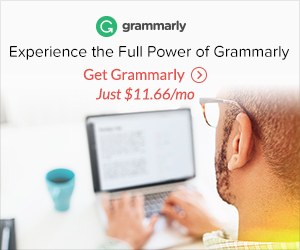 Before I start with the advantages and disadvantages of blogging in English when you are not a native speaker, I want to introduce an extremely helpful tool that every blogger should know about: Grammarly*. 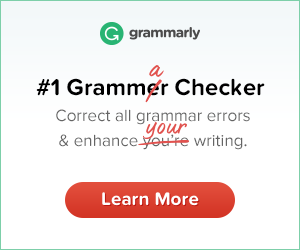 “As you type, Grammarly checks your text for more than 250 common and advanced writing improvements”. Especially for non-native speakers, this is super helpful as you get real time feedback on everything you write - a new blog post, an important email and even a small tweet. The tool does not only check for grammatical errors like spelling or punctuation, it also provides synonyms and context-specific corrections. You can download Grammarly to your desktop, add it to a browser like Chrome, Safari or Firefox or install it as a Microsoft Office add-on. This tool will make you more confident in writing regardless of whether you are a native or non-native speaker! Let’s continue with some advantages and disadvantages of blogging in English when it is not your native langue. This list is of course not exhaustive, but it contains the aspects that seem most important for me. By blogging in English, you decide to target a larger audience, as there are 380 million native speakers and 700 million people who speak English as a foreign language. Interestingly, in 45 countries more than 50% of the population speak English. Compared to my native language, German, there approximately 850 million more English speaking people in total. Of course, this can make a huge difference for your blog traffic because you can not only target the 380 million native speakers, but also the 700 million non-native speakers! As English gets more and more important, you can also use your blog to improve your English writing skills. In the end, this can be even beneficial for your career. Another important reason for me is that I want to work together with companies from all over the world. To blog in English (and also to use English captions and hashtags on Instagram for example) is therefore extremely important to attract businesses from other countries. Even many young brands start their business in English although they are not based in an English speaking country, simply to attract a larger number of customers. A major disadvantage is, of course, the fact that you are not as versed in English as you might be in your native language and it might take more time to write the same amount of text. However, this can be overcome simply by practicing and improving your writing skills over time and by making use of tools like Grammarly*! In addition, your connection to your audience might not be as close as if you decided to address people from your home country in their native language because this might cause a feeling of togetherness. For me, it is definitely worth blogging in English (in my opinion at least) although it is not my native language. As you can see in the pie chart below, more than 66% of my readers are from the US, the UK and Canada alone. This is only possible because I decided to blog in English and it is super helpful to get feedback from these native speakers. Of course, my English is still in development and sometimes I am not super happy with my wording or sentence structure, but I feel that it is important not to give up and to continuously improve! I hope you are now a bit more aware of the advantages and disadvantages of blogging in English when it is not your native language and that you can use Grammarly* to improve your writing skills. If you have any questions, suggestions or tips, feel free to contact me! Do not forget to share this post!